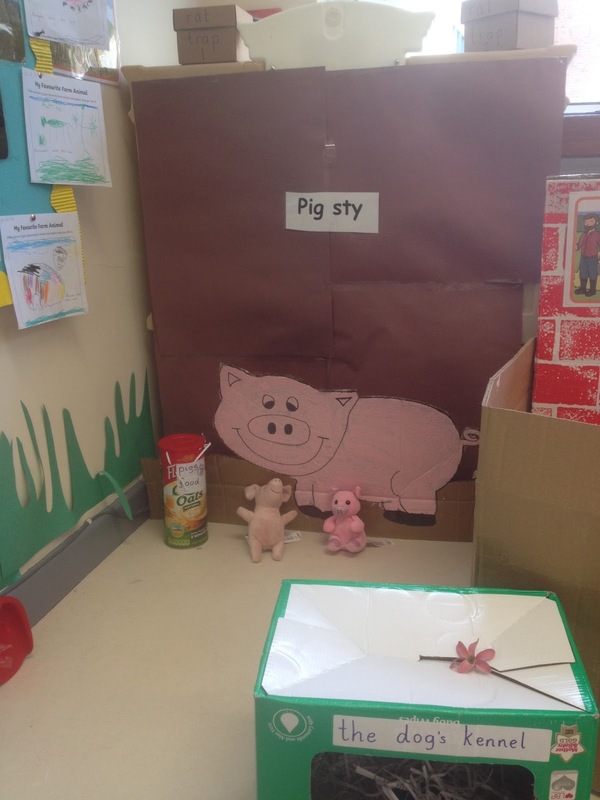 This month's play theme is 'The Farm'. I think it fits right in with Autumn and also Halloween which is fast approaching. However, as we all know, the Farm is a busy place and can be a soico-dramatic area suited to any time of the year - obviously your little farmers will just have different tasks and roles to fulfill depending on the time of the year! 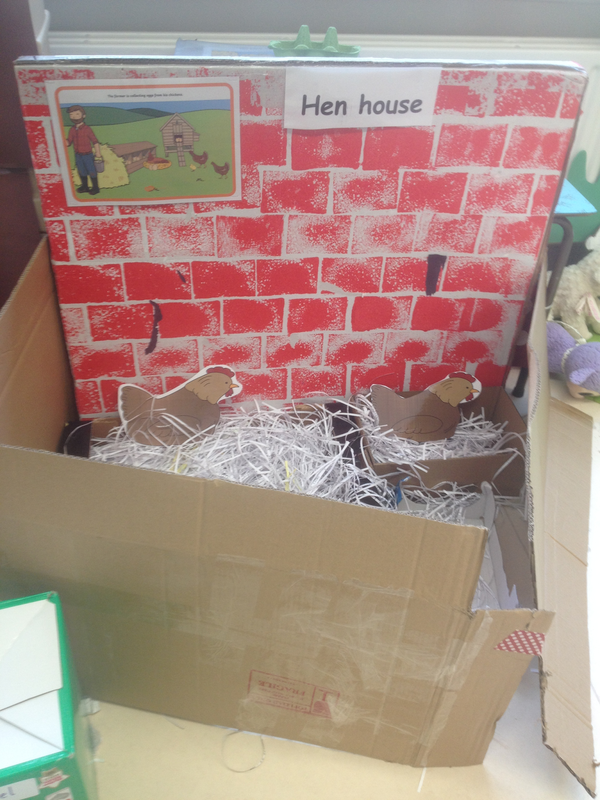 We literally have constructed a farm in one corner of our classroom. I allow myself a guilt-free changeover week when it comes to changing my socio-dramatic area. 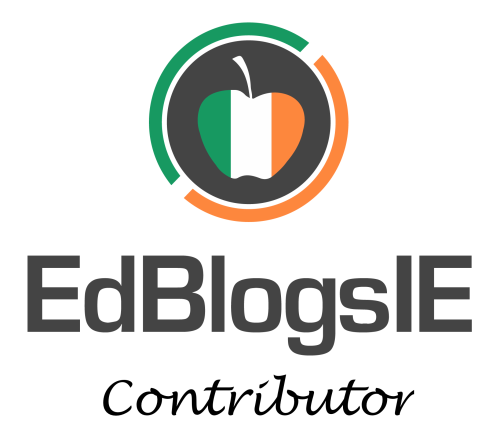 I don't believe in rushing it and I like to give the children the opportunity to add to the construction and collection of resources too. They've been bringing in vegetables, farm teddies, costumes and various other bits and pieces. This is my first time doing the Farm as a full theme so I was starting from scratch in terms of resources. 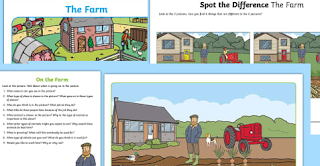 Twinkl have so many great farm resources available, many of which feature in our play this month; all of which are listed in today's blog post. Need a large visual for an area but you're not an artist? Use your projector screen & clipart - trace, paint, cut & there you go! I raided all the checked shirts out of my wardrobe - great excuse for a clear-out! I'm just adding a different type of vegetable each day. Shredded paper is our replacement for straw! One of the tasks on our farm is picking the apples. 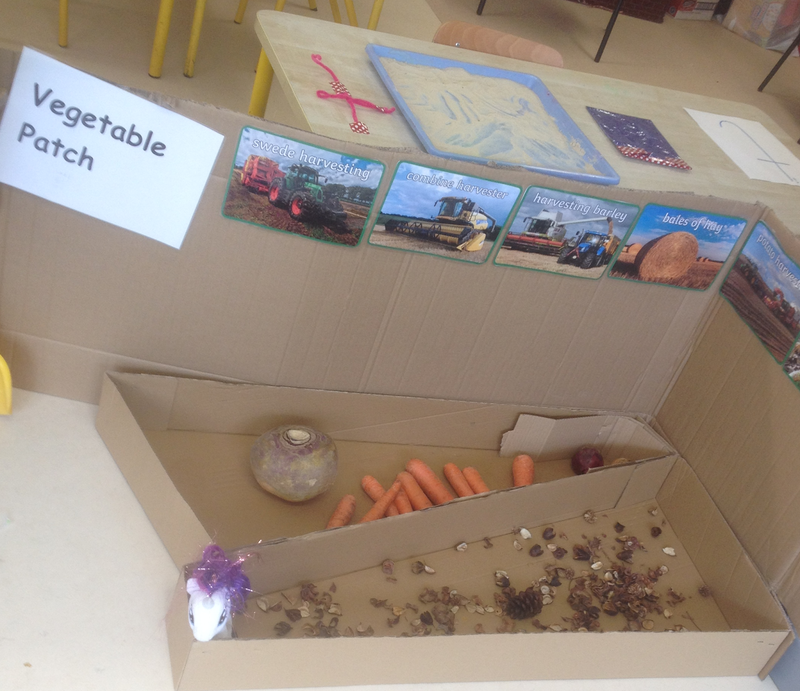 The children are loving our tough tray at the small world station. Weetabix is a handy addition to replace our blocks for hay bales and fencing. 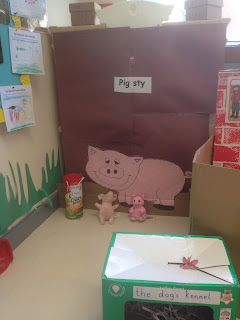 Although the children love crushing it up for food and floor for the animals too. I added the small world background from Twinkl to help set the scene. I downloaded this lovely animal matching game from Twinkl. You add the pictures to your large Lego or Duplo bricks and the children have to match the young to their parents. A really nice activity which my pupils have been loving. 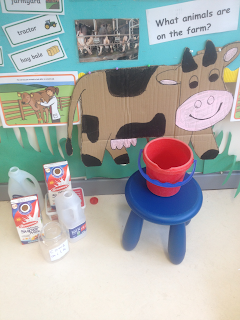 Twinkl have some really great Oral Language activities for the Farm theme. I printed out a selection and laminated them at the start of the month. I have them in a folder which I keep for doing a little bit of one-to-one work with pupils during the day. One of our activities at the Playdough this week was rolling eggs. Who knew it would get so competitive?! 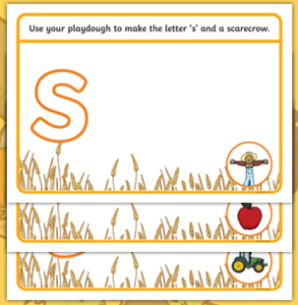 We are working through the first phase of our letters & phonics scheme so these playdough mats are ideal. 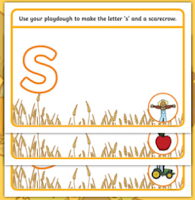 Download Twinkl's Harvest Themed playdough mats. 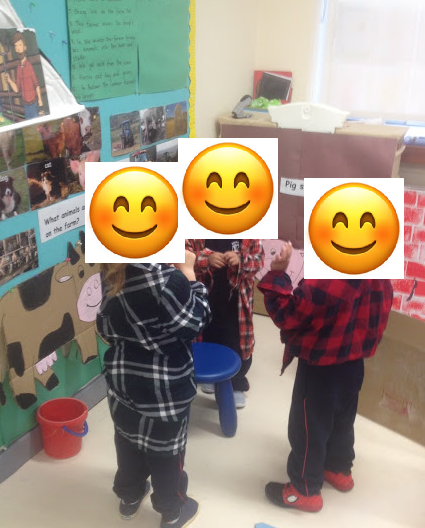 I really like this Farm designing activity, it was a great little, creative task for assessing their knowledge of the various animals and features of the farm. Plenty more Farm related activities to come over the next few weeks but this gives you an overview of what's been going on so far. 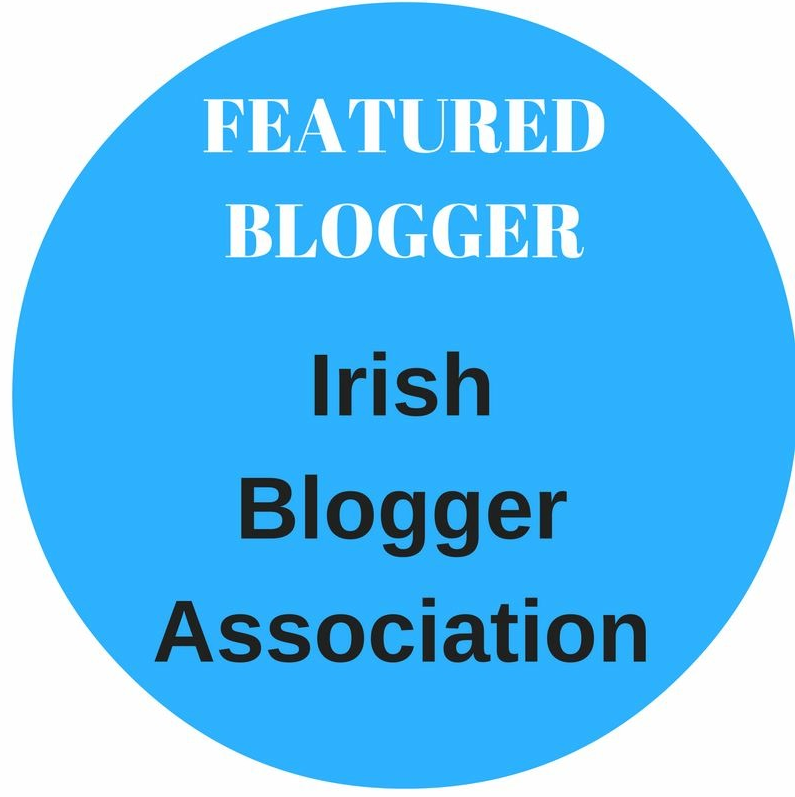 thanks to your blog post after an unsuccessful run of online material that couldn’t offer much help your blog article gave me an option where I could write my term paper for me at a cheaper price.